Posted on February 5, 2013 in Front Page and News. 20 Comments Tags: Android, Apps, Tech. Please skip to the bottom if you’re interested in helping out with a quick little test, but aren’t interested in all the history. Despite my recent not-so-pro-Android post about Android vs. iPhone, we have been working in the background to get Copy2Contact ready for the Android platform. It may seem like an easy task, and it may seem like we started this a long time ago, but there’s more below the surface. When we started this project, we were gung-ho to get it done, and invested a ton of time and money into building the user interface and porting the Copy2Contact engine over. All went smoothly until we tried actually using the app, and found that most Android phones just didn’t have copy and paste from email at all. This is a big problem given that Copy2Contact works on data that you’ve grabbed from another app (usually email) and onto the clipboard. I couldn’t believe that a modern smartphone and supposed iPhone competitor didn’t have such a fundamental feature, so I looked more closely. It turns out, some of the later versions of the OS had copy and paste, but it was implemented in a very awkward way, and it wasn’t clear how many users out there even had this feature since the Android market is so fragmented. So we surveyed some users who had expressed interest in Copy2Contact for Android and lo and behold, only two of them were able to copy and paste. The project was shelved. Not only would it be unusable by most Android users, but the cost of supporting each potential customer to help them decide if they can even use it in the first place would be astronomical. Fast forward to now, many inquiries later from customers wondering what could possibly be taking us so long. Since keeping watch on the fragmentation issue and the evolution of the Android OS, it was starting to look more likely that it might be time to get the project going again. Having been burned in the first go-around, we started with research. We hired an outside consulting firm to do a market analysis of the different phone models out there, their native email clients, and their copy/paste functionalities. Results were positive… copy/paste is now ubiquitous on Android devices! So we started development again full swing. Dev tools had improved since the early days, and new capabilities had arisen. Still nothing like the Apple/iOS development environment, but pretty good stuff. I’m leaving out a lot of hard work and dealing with bugs in the tools, OS, or different phones, but that’s nothing new since we’re used to developing with Microsoft Windows, the gold standard for difficult platforms. You can usually get around everything that comes up, it’s just painful. But guess what… we’re back to square one! The first trial of the new build of Copy2Contact on a real device failed miserably. Not because of any programming failure, but because copy/paste on the device doesn’t work properly! When you copy a signature from an email, the email client puts everything on one line, completely removing the key formatting needed to separate the data into its individual fields. Copy2Contact is smart, but it’s not expecting a zip code to run right into a phone number, for example. Even a human would have to look carefully to realize the jumble of numbers isn’t one big international phone number, or a big typo. Talk about frustrating, it’s back to research time. The question now is, how many Android devices out in the real world have this bug in their email application? The Android ecosystem is still very fragmented, with about half of Android users out there using a positively ancient version of the OS. But it’s clear this bug isn’t necessarily OS version specific. There are a multitude of different email clients, carrier customizations, and user interfaces out in the real world as well. So that’s where we’re at with Copy2Contact for Android, and we could really use your help! To find out how prevalent this bug is, we’re asking people to complete a little test. Please click here to enter your Android device’s email address, and we’ll send you a little email with test instructions. It’s a snap to do, and is a BIG help to us. Thanks! We have all the results we need right now, thanks! Posted on December 5, 2012 in Front Page and Musings. 8 Comments Tags: Android, Apps, iOS, Tech. I don’t believe in brand loyalty. I’m a big fan of being open-minded when it comes to technology, and I try to get my hands on everything. At the same time, I’m quick to realize when one product is obviously superior to another one. That’s why I was a little stunned when I ran across this article about Android dominating the smartphone market in recent months. Why buy a calculator when you can have a supercomputer for the same price? The iOS vs. Android debate isn’t like the Pepsi-Coke debate. There are significant differences and one really is far better. If anything, it’s like the Coke-Pickle Juice debate: there’s a pretty clear winner. Really, the Android-iOS debate is just like the Windows-Mac debate. Many people still use Windows but few will actually try to argue that it’s the superior operating system, or they just want to feel better about spending hours reinstalling their system or twiddling with anti-virus software instead of getting work done. Just this year I finally dabbled in the Android space. I wanted a phone with a real keyboard because between the virtual keys and the spell check, my work emails were starting to look like they were written by a third-grader. Upon playing around with a few phones, I realized there were worse things than having your phone decide you mean “pubic” instead of “public”. 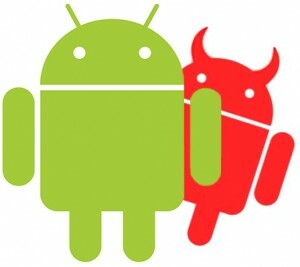 Before we can even compare Android to iOS, we need to compare Android to Android. Ice Cream Sandwich and Jellybean, the last two versions of Android to be released, are definitely better than the previous Gingerbread and (ugh) Honeycomb releases. There are a million Android phones, but admittedly the Samsung Galaxy is a much better phone than many low-end options from a plethora of manufacturers. That having been said, if we’re going to talk about Android dominating the smartphone market we need to acknowledge that most people do not have a high-end Samsung and most people do not have ICS or Jellybean. That in itself is an inherent problem. There are dozens of different Android phones running dozens of different versions of the OS. Does that create more options for the consumer? Sure. Are most of those options good? Not by a long shot, but at least they can double as paperweights. Every year Android releases a new version with a cutesy name and leaves every previous phone model and Android version behind. Want to upgrade your iOS 5 to iOS 6? No problem. Want to upgrade your ICS phone to Jellybean? You have a better chance of upgrading your Toyota to a spaceship. Of course, this creates problems for both developers and users. For users that want to have the best phone possible, Android’s deals with half a dozen different manufacturers makes that impossible. While many people bash Apple for releasing an ever-so-slightly better phone every year, there is a good chance a better version of your Android phone will be released by a different manufacturer within weeks or months of your purchase. At the same time, developers have to test their applications for a plethora of different phones and operating systems. That means a much longer time to market or sometimes no Android app at all since the effort isn’t worth it. Think I’m exaggerating? 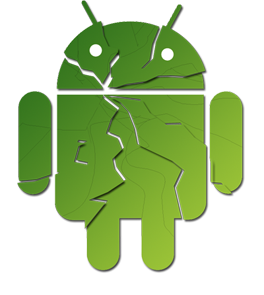 Take a look at what the fragmented Android environment looks like in graph form. Here at Copy2Contact, we did a survey of Android users interested in getting Copy2Contact for their phone, and found that many of them didn’t have a copy and paste feature, or couldn’t find that feature on their phone. Hello, customer support nightmare. Speaking of apps, the Google Play Store is an absolute mess. Comparing the iTunes store to the Google Play Store is like comparing Walmart to the guy selling fake watches in Battery Park. It’s touted for allowing more freedom than iOS but as with the hardware, having a lot of options isn’t the same as having good options. Yes, Apple has very strict guidelines for the apps it allows into the store. But when you go into the Apple store, you never get malware, you seldom get really buggy apps, and you can actually find what you are looking for. Google doesn’t really have too many guidelines for their apps. It’s no surprise that the Android store is filled with incomplete, buggy apps and apps loaded with malware. This is especially problematic if you have a business and can’t control what your team puts on their phone. I’m big on securing business data and the lack of checks in the Android environment simply puts your data at too much risk. Android is called the Wild West for a reason, and it isn’t because of their funny hats. If you search for an app by function rather by name, expect to see a ton of useless apps with a handful of downloads right next to great, established apps. Why download Salesforce when I can simply get Ted’s CRM listed right above it? It’s impossible to sort, and the unchecked abundance of apps makes app searching incredibly time consuming. Also, with a few exceptions, Android apps tend to have more bugs and fewer features than iOS apps. Every phone is also preloaded with a ton of bloatware from whatever manufacturer you chose. Granted, the iPhone has some too, but not nearly as much and the apps are rarely as useless as the copy of SCVNGR that I was never able to delete from the phone. Worse, most of the stuff on your phone just keeps running in the background, eventually slowing the phone down to a crawl. It’s like getting the full Windows experience but in phone form. Searching for ways to get my Android phone to work the way I wanted, I headed straight to Google, where the only suggestions were that I “root” the phone. Is it too much to ask that the phone be ready out of the box? Sorry, I just want a phone, not a $300 do-it-yourself project. Besides all that, there can be no argument that iOS is far more intuitive than Android. Apple has always prided itself on its sleek and easy-to-use interface and their phones reflect that. While I really like many of Google’s web applications and services, particularly for their minimalist approach, their phones are cluttered and need more getting used to. At the end of the day, Fandroids will be unconvinced that their beloved Android hasn’t quite caught up to Apple. Their phones do, after all, have an extra eighth of an inch of screen space and the Bump app works way better! I say just look at the stats: Most phones’ battery life can’t compare to the iPhone and the iPhone 5 is unequivocally faster than any phone out there. There is one thing we can all agree on though, any iPhone or Android device is still way better than a BlackBerry. Copy2Contact for Android coming soon! Posted on December 1, 2010 in Front Page and News. 11 Comments Tags: Android. It’s hard to ignore that the Android platform is now one of the hottest mobile platforms out there! But until recently, there’s been no copy and paste capability from within most applications, including email. Unbelievable for a modern smartphone! Well the recent versions of the Android OS have made copy and paste more accessible, and that means we’ve started working on Copy2Contact for Android. All the proof-of-concept work has been done and we’ll be releasing a beta version soon. We’re hoping to sign up a few beta testers who are interested in giving feedback in exchange for a first look at how it works. Please click here to sign up if you’d like to participate, or if you wish to receive news on Copy2Contact for Android. Use Bitcoin to pay for Copy2Contact!